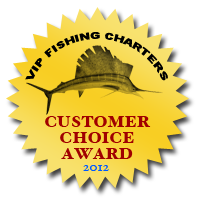 Fort Lauderdale Fishing Charters regularly provides transporation for Fort Lauderdale bank signings and document signings in international waters. Our Fort Lauderdale fishing boats are perfect for offshore document signings, because they are clean, fast, and air conditioned. Moreover, chartering a fishing boat in Fort Lauderdale for a document signing is considerably less expensive than chartering other types of craft, such as airplanes or private yachts. The biggest advantage of completing transactions offshore is that you can save quite a bit of money on document stamps and other fees that are imposed on transactions completed in the State of Florida. When completing transactions in the State of Florida that involve a promissory note or other unconditional obligation, a document stamp ("doc stamp") fee of $0.35 for every $100 indebtedness typically applies. These docstamp fees could add up to big money especially on multi-million dollar transactions. By travelling 3 miles offshore off of Fort Lauderdale (9 miles offshore in the Gulf of Mexico) you may be able to avoid doc stamp fees since the transaction is being executed outside the jurisdiction of the State of Florida. In order to make this official, you will need to have your counsel prepare affidavits that will be signed by the captain and other parties on board documenting that the transaction took place offshore.